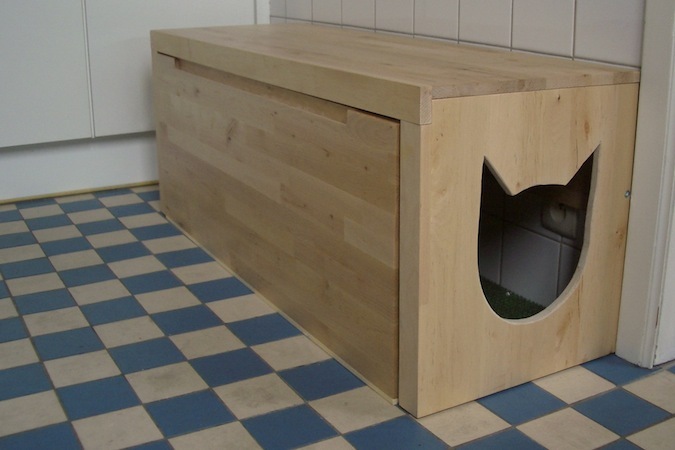 Litter boxes are the one bad thing about having a cat, but these 2 different hidden DIY cat litter boxes are a definite improvement. 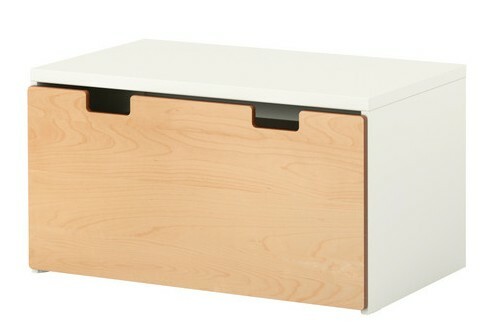 They’re based on modifications of Ikea furniture, so they’re pretty simple and they can double as a low table or bench. 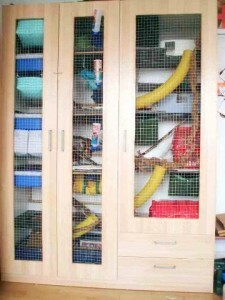 The first project uses a Besta shelving unit, which was also used for this DIY bunny hutch. 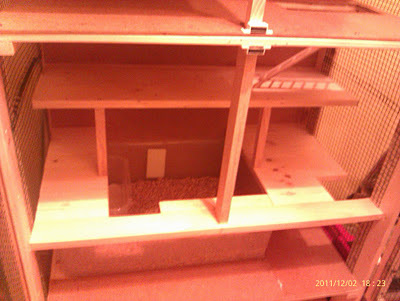 For the hidden litter box, they cut a doorway through the inner divider and applied contact paper to the inner compartment for easy clean-up. 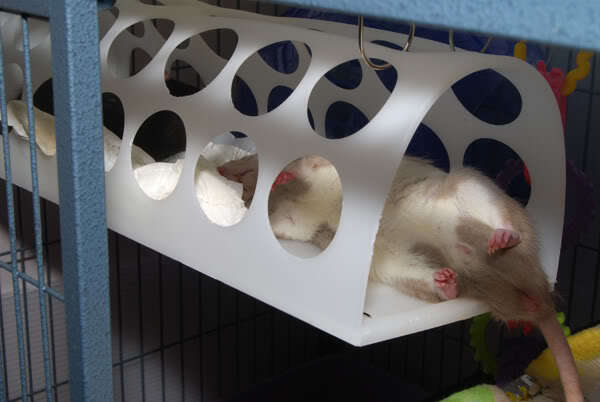 I think I might put something more durable like metal sheeting. The second project uses a bench no longer sold by Ikea, but the Stuva bench looks like it would work. 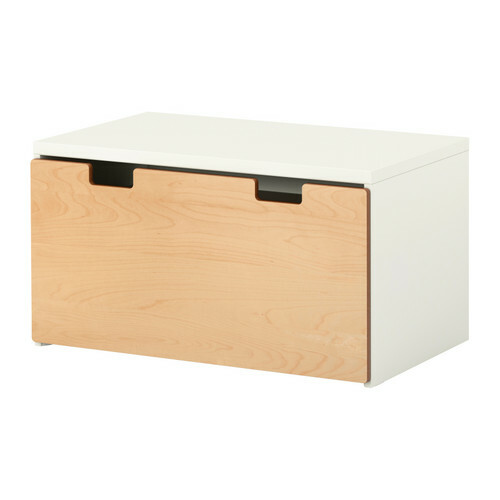 Instead of a door, there is a drawer to keep everything hidden and tidy. 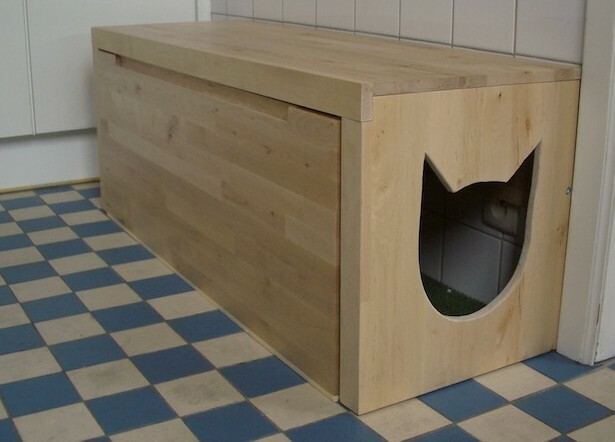 You’ll have to cut an opening through the bench and the drawer. And I think I’d also line the drawer with metal sheeting. 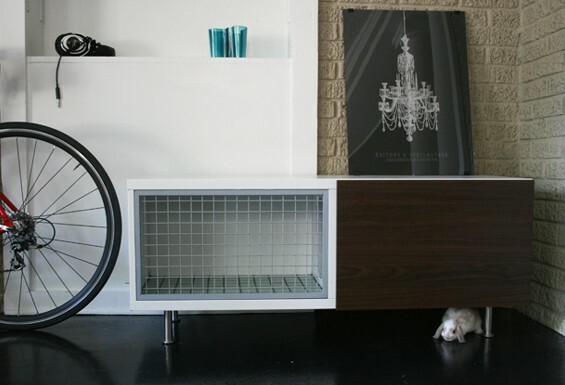 Last week, I had a post about a nifty dog crate coffee table with nice clean lines. 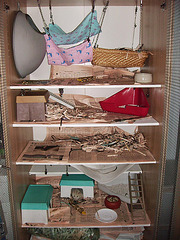 This week brings an attractive bunny hutch made by modifying an Ikea shelf unit. For some reason, the instructions don’t appear on the tutorial page, so click here for the instructions and scroll down. This customized hutch has great features. I love the glass tile on the floor—so much easier to clean and keep looking nice. 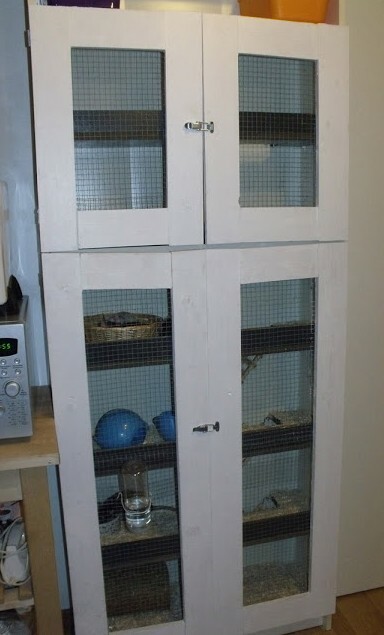 On one side of the hutch they used a metal grid from The Container Store, but had to peel the rubber coating off and paint it. That seems like a hassle. I’d look for something similar from Home Depot or Lowes that was just plain metal. 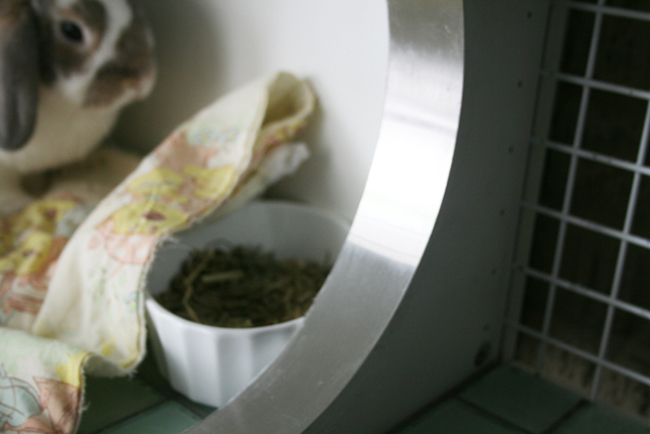 The aluminum sheeting they used to finish the doorway in the divider looks great and will keep bunnies from nibbling on things they shouldn’t. Always remember to use non-toxic materials and let the hutch air out after completion. 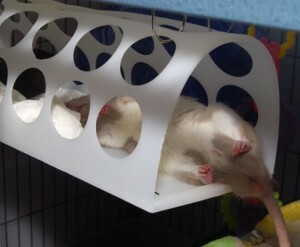 I just love pet furniture that looks great. 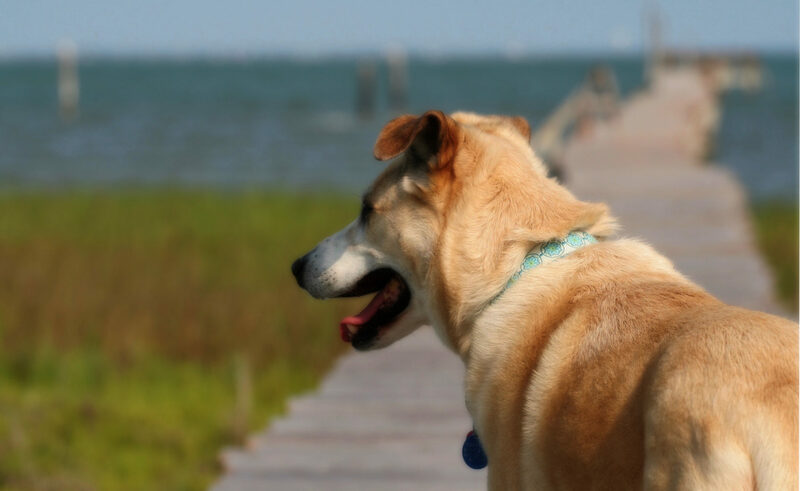 I think it means pets are more likely to be where their people are if their hutches, cages, beds, etc. aren’t some hideous thing people are likely to hide in a back room. Neato! 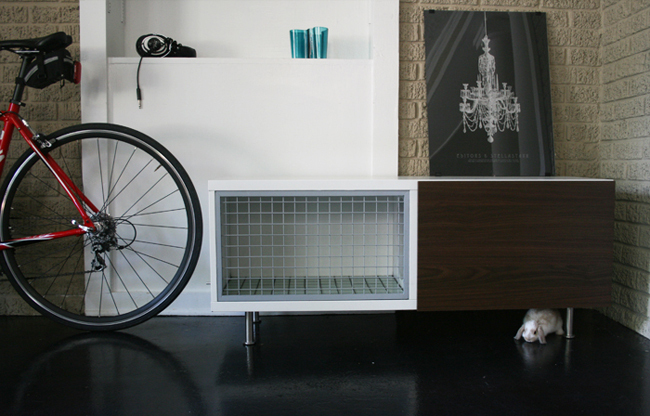 Remember that nifty modular Catswall from last week? 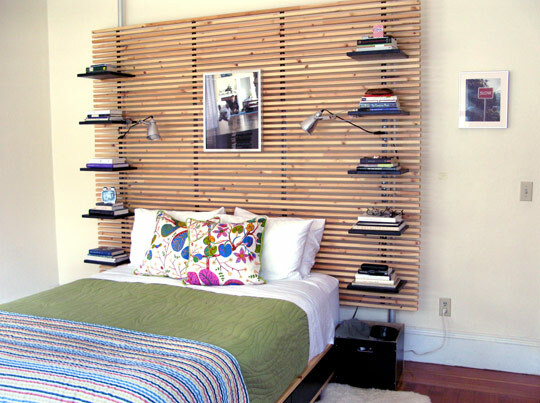 I was thinking it reminded me of something I’d seen before—Ikea’s Mandal headboard. 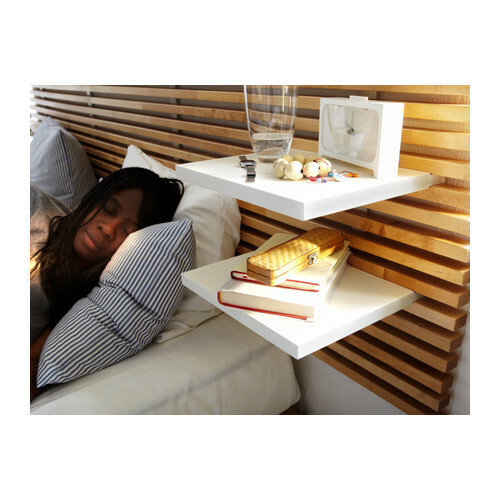 It comes with 6 shelves you can move around as you like. Or you could get 2 headboards for even more options. Someone over on IkeaHackers used part of a bedframe they found and some Lack shelves to make their own version. 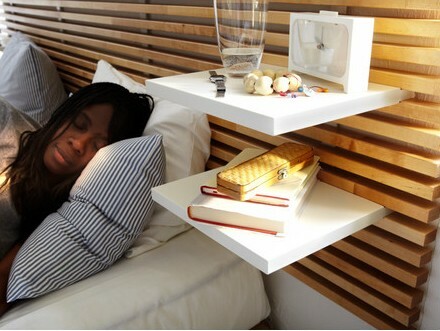 You could make your own piece like the headboard, but for $150, I’d just get the Ikea version. I’recommend modifying the shelves by attaching sisal, sea grass, or carpet so your kitties have traction. I’m thinking hot glue would be the best way to do this since it might be hard to get staples or tacks through the melamine on the shelves without cracking it. 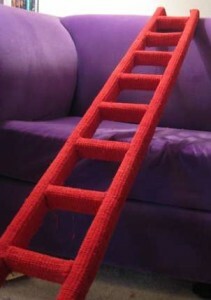 I love this idea and just might put one up in our guest room. Too cool! Our cat Raven loves the ladder we use when doing home improvement projects. If we left it for a moment, she was always sitting at the top very pleased with herself when we came back. 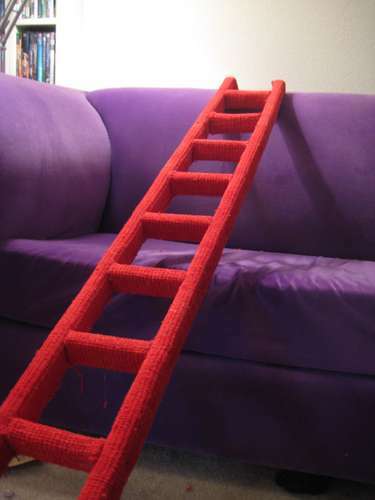 Most cats like high spots and here’s a tutorial on making your cat their own ladder. The nifty thing is you could move this around your house to keep things interesting for your kitty—from a bookcase to a closet to a ledge. I bet you could modify this design so you wouldn’t have to drill holes in your bookcase, shelf, etc. Lean the ladder at enough of an angle, rubber caps on the feet of the ladder, long brackets with a non-slip material on them, etc. metal brackets to secure ladder to bookcase, shelf, etc.